You know it goes on. You know these ‘Sales’ happen every Bank Holiday and more often than not, any day you just happen to be looking for a mattress! This article will walk you through some the techniques and sneaky tactics used in sales to make you part with your cash as quickly as possible with the aim of helping you avoid them. What you don’t know is if the ‘was‘ price has any bearing on the ‘now‘ price. Trading Standards rules on ‘sales’ are vigorously enforced. With that in mind, it can rightly be assumed that items with a ‘was’ and ‘now’ price can only be right – after all, these are usually big companies who do not want to fall foul of the law – so it must be true! Note: I make no claim that I am an expert on Consumer Law. I can only state on practices that I know to happen. If you can clarify or confirm or even disagree what follows, then please do so using the comments section below. You see a mattress advertised was £500 now £250. How can you tell for sure if this is correct? Firstly, it will be correct but the ‘was’ price could have been any price you care to think of even, was £1,000 now £250. The ‘was’ price has absolutely no bearing on the supposed worth of the mattress. I heard a story of a manufacturer who makes beds for a retail bed chain. One bed in question was produced specifically for an upcoming sale. While the order was being manufactured, a few of these beds were displayed in stores at a retail price of around £1000. At sale time, it was advertised at half price was £1000 now £500. The bed in question, even when sold at £500, was probably still overpriced for what it was. But the impression you would have come to in a sale was that it looks like such a bargain. If a bed or mattress is advertised at half price then logically, twice that price should be the real ‘worth’ of the item. If you had compared the specification of the bed above, to others with a value of £500 you would have easily found out that you could have got a much better specification bed for your £500. The same is true with RRP (Recommended retail price) or SRP (Suggested retail price). These terms mean diddly squat. Manufacturers have no legal say on how much a retailer should sell their products for they can, of course, refuse to supply retailers who don’t toe the line on the retail price of their products! So what does this sale price tell you? Silentnight has placed an indicative ‘value’ of £419 for this particular single mattress. They give their selected retailers a choice of selling it for more or less than this. With the above (true) example, you have found it for £279. Have you actually saved £140? or have you paid £279 the actual ‘worth‘ of the mattress? Only by comparing it to other ‘like for like’ models will you know the real answer and find the actual worth. When doing price comparisons, even in the store, always price up the mattress only, and the (no storage) base separately. You will then get a truer price of the supposed mattress quality. 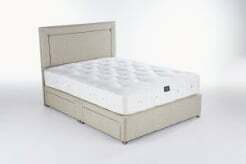 You will soon come to see that either the mattress is overpriced with an equally overpriced base or there will be no option to buy the mattress separately (see below). It is a lot easier to calculate and to work out how much you are being asked to pay for the (overpriced) base. Update 1: (May) This is absolutely scandalous! Have a look at the base. For starters, the castors are what you would expect to find on a basic divan set, not one that you are being asked to pay £450 for. My betting is on the fact that sooner, rather than later this will be on offer for half price. I shall keep my eye on this model and if I am right (or wrong) I will post the result here. Update 2: (End May) What did I tell you. The Silentnight Sherwood no storage Divan is now half price at £614.99 (was: £1229.99). The mattress has also been ‘reduced’ to half price to £389.99 (was: £779.99). Update 3. (End Aug) The link above does not work anymore and as far as I can see the Sherwood model has been removed from the listing. Bensons for Beds is another prime of example. They sell the Silentnight Miracoil Zone 5 double mattress for £425.52 but after the ‘Sale’, it will be £999.99 (price checked 11/Feb/ 2010). We have now monitored this one particular item for well over a year – so how long is this ‘sale’ going on for? and when exactly was the ‘was £1079.99′ price ever implemented?’ Definitely not in the last 12 months!! Update: [August 2011] The Miracoil Zone 4 is still in the ‘sale’ for £469.99 and a ‘was’ price of £939.99. The point of this small example is that there is no such thing as a genuine half price mattress sale. If there were, it would mean that the retailer would be selling a mattress at half the ‘worth’ price. This was a difficult topic to write openly about. Obviously, I had to resource my limited comments with due diligence. If anyone has any objections or criticism to my post then please publicly place them below. All other comments are very welcome. Update: It was interesting to note that Which? did a more intensive probe over seven months culminating in July 2010. 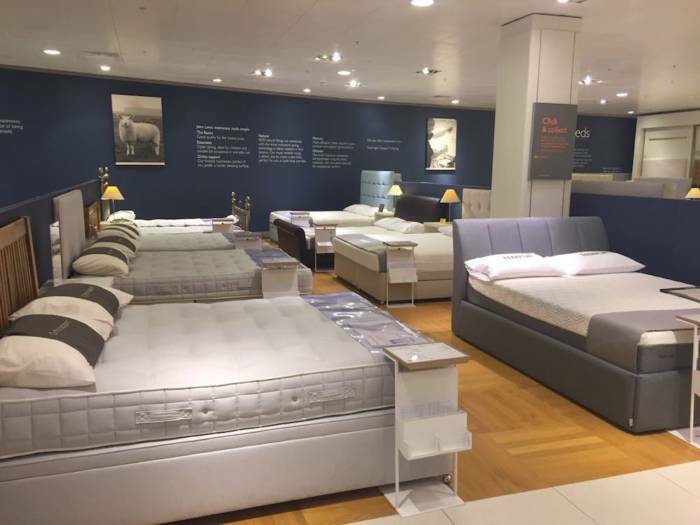 They analysed 12,793 on-line prices for 330 sofas and beds and concluded that ‘offers’ from seven out of eight major stores they tracked- could mislead customers. The seven shops they refer to and monitored were: Bensons for Beds / DFS / Dreams / Furniture Village / Harveys / SCS / Sleepmasters. The remaining store they tracked and found to buck this trend was Bed Shed, with sales typically lasting four weeks out of the thirty-two weeks monitoring period. Bensons for Beds: Fiji Deluxe Bed was on sale for seven months which during that time it was never sold at either £599.99 or £699.99 the quoted higher price.There was also an ‘Extra Discount Price’ on The Ashleigh Divan at £399.00 despite this being the Original Sale Price. 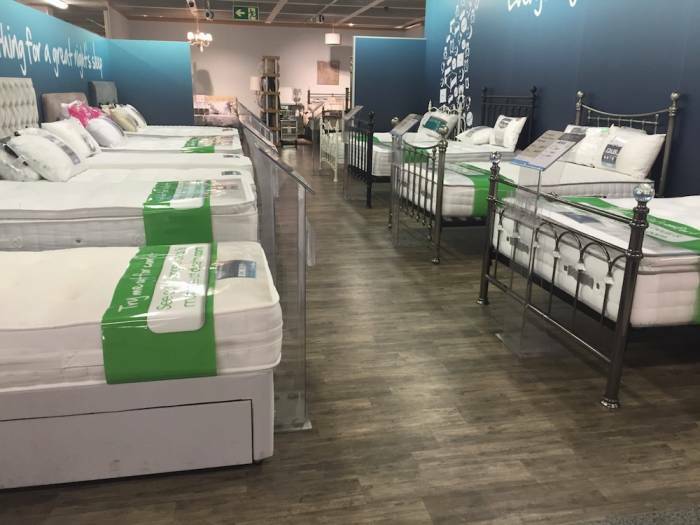 They report that Bensons for Beds used this ‘Extra Discount’ price for eleven weeks after Christmas before the same price simply became a ‘sale’ again. 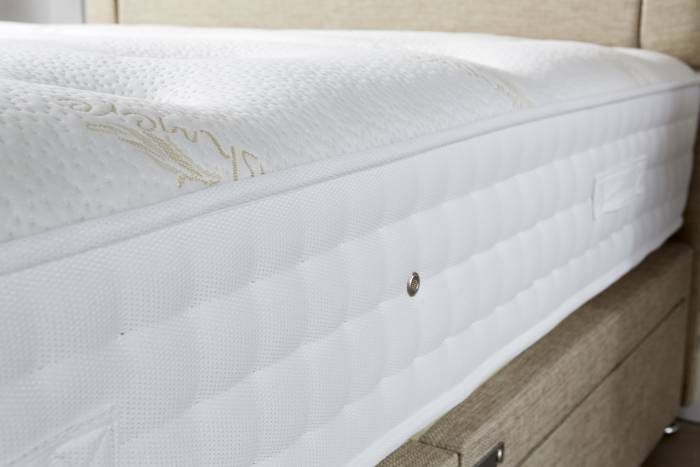 Sleepmasters: Opulence Double Divan was on ‘Sale’ for either £989.99 or £1099.95 over the same period of time but never for the higher price of £2199.95. Why doesn’t John Ryan Have Sales? The last twenty years or so have seen how the ‘sales’ tag sparks interest in consumers looking for a bargain or deal. We have a very detailed article here on just why we won’t follow the same sales tactics as the big retailers do. We don’t find them fair or in your best interests as the consumer. If something sounds too good to be true it usually is. Take care can caution if you’re making decisions that have an RRP or sale price as part of that decision making. You would be better using our mattress comparison tools, GSM and guidance articles to find a suitable mattress within a given budget point rather than simply being led by what may feel like ‘a bargain’. Our small expert friendly team are on hand to help you navigate this murky world and can be reached on 0161 437 4419.